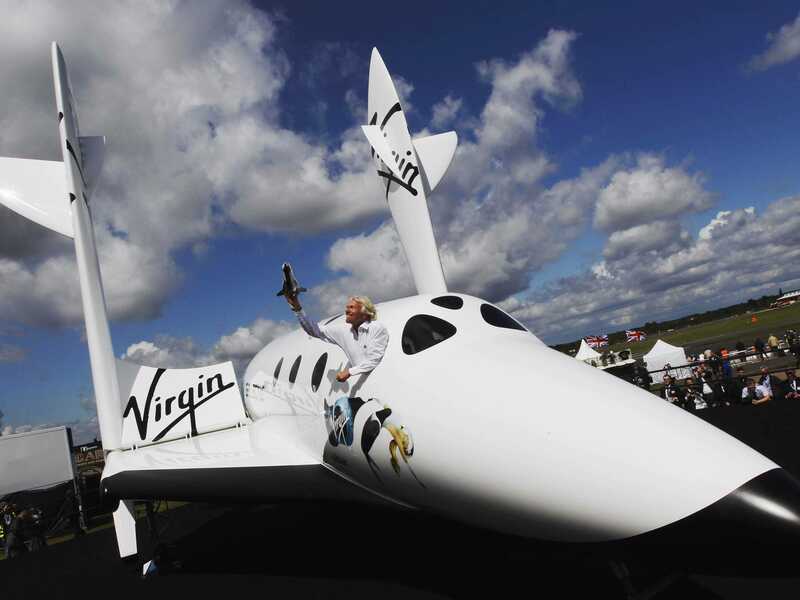 REUTERS/Luke MacGregorRichard Branson with SpaceShipTwo. Virgin Galactic’s SpaceShipTwo crashed last week during a test flight conducted by the private space company’s development partner, Scaled Composites. SpaceShipTwo’s pilot — 43-year-old Peter Siebold — was able to use his parachute to escape the craft, but he sustained injuries and was airlifted by helicopter from the California desert to a hospital. His co-pilot — 39-year-old Michael Alsbury — was killed in the crash. Both pilots were part of the Scaled Composite test team that was trained to fly SpaceShipTwo. The company has endured tragedy before. In 2007, a rocket motor exploded during a ground test, killing three employees and injuring another three. You may have heard of Virgin Galactic and Virgin Group founder Richard Branson. But Scaled Composites is a more obscure name. However, without Scaled Composites, there would be no Virgin Galactic as we now know it. 1. Scaled Composites was founded in 1982 by pioneering aviation engineer Burt Rutan. Rutan served as Scaled’s chief technology officer until his retirement in 2011. The company has been a subsidiary of Northrup Grumman since the defence giant purchased the firm in 2007. 2. The company specialises in the design, production, and flight testing of air and spacecraft built from special non-metal composite materials. 3. Scaled — in association with Microsoft co-founder Paul Allen’s Mojave Aerospace Ventures, which invested $US28 million — designed and built SpaceShipOne in 2003. A year later, SpaceShipOne won the coveted Ansari X Prize, worth $US10 million in cash, to build a reusable manned spacecraft. SpaceShipOne is now on permanent display at the Smithsonian Air & Space Museum in Washington, D.C. Scaled Composites teamed up with Sir Richard Branson’s Virgin Galactic to form The Spaceship Company to design, build, and test future spacecraft. Virgin Galactic acquired Scaled Composites’ 30% stake in The Spaceship Company in 2012. Overall, the Virgin Group has invested something on the order of $US100 million in the effort to bring short trips to the edge of space within the reach of wealthy tourists. 5. Scaled-founder Rutan has teamed up with Paul Allen once again. This time, the company and its founder will help Allen’s Stratolaunch Systems to put cargo into orbit by launching rockets from a large airframe based on the WhiteKnightTwo mothership that Virgin Galactic used to launch SpaceShipTwo. Allen’s new investment level hasn’t been disclosed.